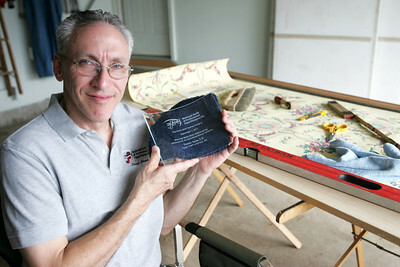 Monica Maschak - mmaschak@shawmedia.com Steven Kaye, of Paper Craft Interiors in Algonquin poses with his award from the National Guild of Professional Paper Hangers. Kaye won second place in the small spaces category. Monica Maschak - mmaschak@shawmedia.com Some of Steven Kaye's tools of the trade on a sample piece of wallpaper. 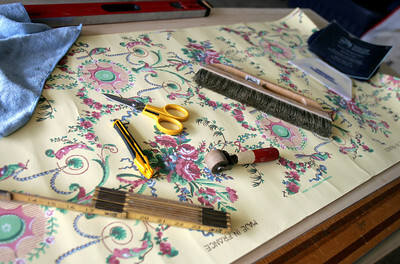 Some of Steven Kaye's tools of the trade on a sample piece of wallpaper.